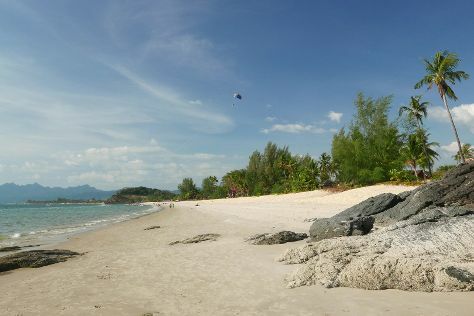 Kick off your visit on the 23rd (Fri): head outdoors with Outdoor Activities and then Head underground at Tanjung Rhu Beach. 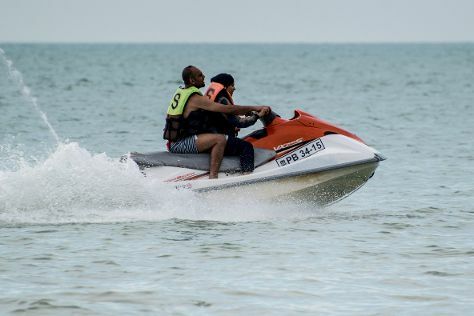 On the next day, tour the pleasant surroundings at Cenang Beach, then zoom along the surf with a waterskiing or jet-skiing adventure, and then take in the views from Langkawi Sky Bridge. To see ratings, maps, where to stay, and other tourist information, read our Langkawi trip planner . Alexandria, Egypt to Langkawi is an approximately 15-hour combination of taxi and flight. You can also do a combination of taxi, flight, car, and ferry; or do a combination of bus and flight. You'll lose 6 hours traveling from Alexandria to Langkawi due to the time zone difference. Plan for a bit warmer temperatures traveling from Alexandria in November, with highs in Langkawi at 36°C and lows at 29°C. Cap off your sightseeing on the 24th (Sat) early enough to travel to George Town. Start off your visit on the 25th (Sun): get engrossed in the history at Pinang Peranakan Mansion, see the interesting displays at Khoo Kongsi, then admire the landmark architecture of Kek Lok Si Temple, and finally enjoy the sand and surf at East Wind Watersports. To find ratings, traveler tips, other places to visit, and more tourist information, you can read our George Town vacation planning website . You can do a combination of flight and taxi from Langkawi to George Town in 1.5 hours. Alternatively, you can ride a ferry. Traveling from Langkawi to George Town, you'll gain 1 hour due to the time zone difference. Expect a daytime high around 36°C in November, and nighttime lows around 28°C. Wrap up your sightseeing on the 25th (Sun) to allow time to travel to Johor Bahru. 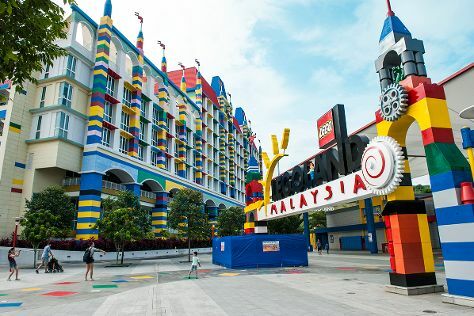 Kick off your visit on the 26th (Mon): make a splash at Legoland Malaysia. To see maps, more things to do, where to stay, and other tourist information, refer to the Johor Bahru attractions planning app . Getting from George Town to Johor Bahru by combination of flight and bus takes about 3 hours. Other options: drive; or do a combination of ferry and car. The time zone changes from West Indonesia Time (WIB) to Malaysia Time (MYT), which is usually a 1 hour difference. In November, daily temperatures in Johor Bahru can reach 37°C, while at night they dip to 28°C. Finish up your sightseeing early on the 26th (Mon) so you can go by car to Kuala Lumpur. Family-friendly places like KL Bird Park and Sunway Lagoon will thrill your kids. 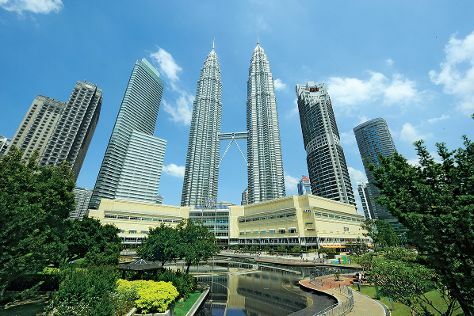 The adventure continues: admire the striking features of Petronas Twin Towers, admire the masterpieces at Islamic Arts Museum Malaysia, enjoy breathtaking views from Menara Kuala Lumpur, and tour the pleasant surroundings at KLCC Park. To find other places to visit, where to stay, and other tourist information, read our Kuala Lumpur day trip app . You can drive from Johor Bahru to Kuala Lumpur in 3.5 hours. Other options are to fly; or do a combination of bus and flight. In November, daytime highs in Kuala Lumpur are 37°C, while nighttime lows are 28°C. Finish your sightseeing early on the 29th (Thu) so you can travel back home.